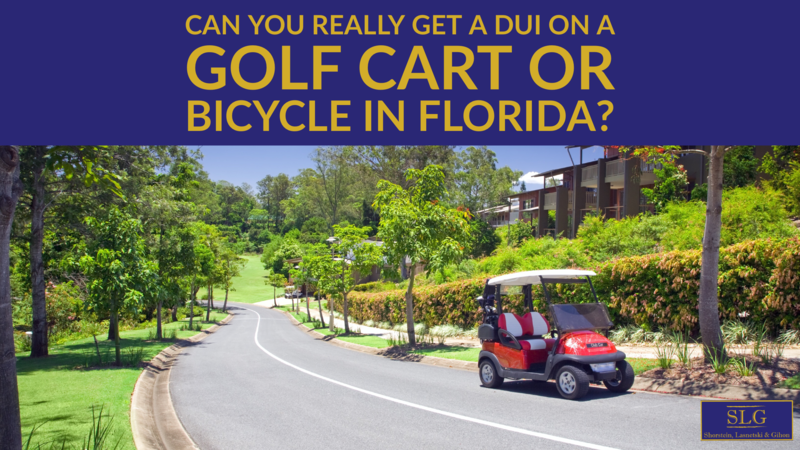 In Florida, the crime of DUI means that a person cannot operate a motor vehicle while impaired from alcohol or drugs. It does not mean a person cannot drink and then drive. Of course, to be safe, it is always best to avoid driving after consuming any alcohol. However, if a person has a couple of drinks and is not impaired, it is not illegal to drive in Florida. The crime is not drinking and driving; the crime is drinking while impaired from alcohol or drugs to the extent one’s normal faculties are compromised. The problem, of course, is that police officers are the ones who determine whether a person is guilty of DUI at the outset. Police officers will often draw conclusions based on a quick initial impression and then view everything that happens next in light of the conclusion they have already made. This is one reason why every DUI report we have ever read seems to have the same “observations” from the police officer- odor of alcohol, slurred speech, bloodshot, watery eyes and similar descriptions. People need to understand that a DUI investigation is completely subjective. If the police officer thinks you are impaired from alcohol, everything he/she does next is designed to acquire subjective evidence to support the decision he/she has already made, which is to arrest you for DUI. And DUI investigations are completely subjective. 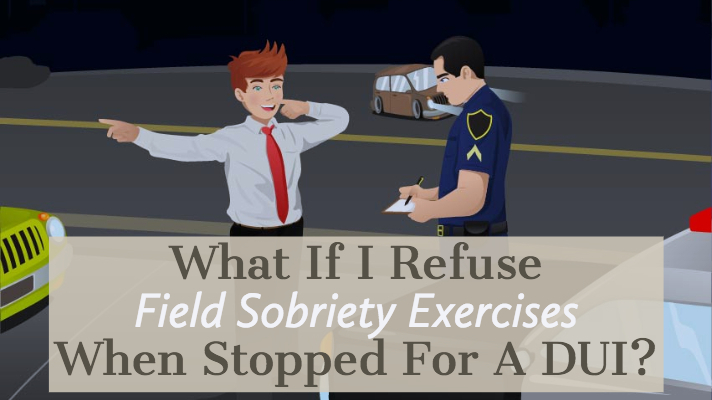 The judge of field sobriety tests and your appearance and demeanor is a police officer who, in almost every case, has already decided you are impaired, which is why he/she asked you to take the tests to begin with. Despite that, it remains true that merely drinking and driving is not illegal. You might need to get to a judge or even an appellate court before this fact is recognized, if at all, but police officers and the state are required to prove more than mere drinking and driving. In a recent DUI case south of Jacksonville, Florida, a driver was stopped for a routine traffic violation, and the police officer suspected he was driving while impaired from alcohol. The police officer documented the standard observations- odor of alcohol, slurred speech, watery eyes. The driver also admitted to having one drink. Based on that, the police officer had the driver exit the vehicle and perform field sobriety tests. The criminal defense lawyer filed a motion to suppress all of the evidence that was obtained after the driver was ordered to exit her vehicle. Police officers cannot detain a driver and conduct a DUI investigation without evidence of impairment. In this case, there was nothing disturbing about her driving that would indicate impairment. The odor of alcohol only provided proof that the driver had consumed an alcoholic beverage(s), not that she was drunk. The bloodshot eyes and slurred speech are not sufficient to establish impairment, and it is probably relevant that all judges know police officers put that in every DUI report. In Florida, most DUI cases (driving under the influence of alcohol) are the result of traffic stops and then subjective DUI investigations and then requests for the driver to submit to a breathalyzer test after he/she has been arrested. The police cannot generally request a blood sample from a person, or force a suspect to give a blood sample, unless the Florida statute authorizes it or there are emergency circumstances. There are DUI cases in Florida where a police officer can get a DUI suspect’s blood to be sent to the crime lab and tested for alcohol content. There is a Florida statute that allows the police to obtain a blood sample from a DUI suspect in certain circumstances. If a driver has been involved in an accident and there is probable cause to believe the driver was under the influence of alcohol and that driver has caused a serious injury or death, the police can then require the driver to provide a blood sample for testing. There is some ambiguity over what a serious injury is and there is often conflict over whether there is probable cause to believe the driver was under the influence of alcohol. For instance, just because someone involved in the crash was taken to the hospital does not mean there was a serious injury. Likewise, just because the police smell alcohol on a driver does not automatically mean there is probable cause to believe the driver is under the influence of alcohol. But there is also another factor that gets overlooked in some DUI cases. The police must have evidence that the driver whose blood they are seeking caused the crashed that resulted in the serious injury or death. Police often come to these accidents after the fact. Therefore, they cannot necessarily rely on their observations of the crash to determine the cause. They must perform some level investigation to make some credible determination of causation of the crash and the resulting injury or death. Without that, the police cannot order a DUI suspect to give blood. This does not mean a driver cannot be charged with DUI. It just means the police cannot obtain the driver’s blood, and if the police do so without establishing any causation, the criminal defense lawyer can get the evidence of the blood alcohol test thrown out of court.